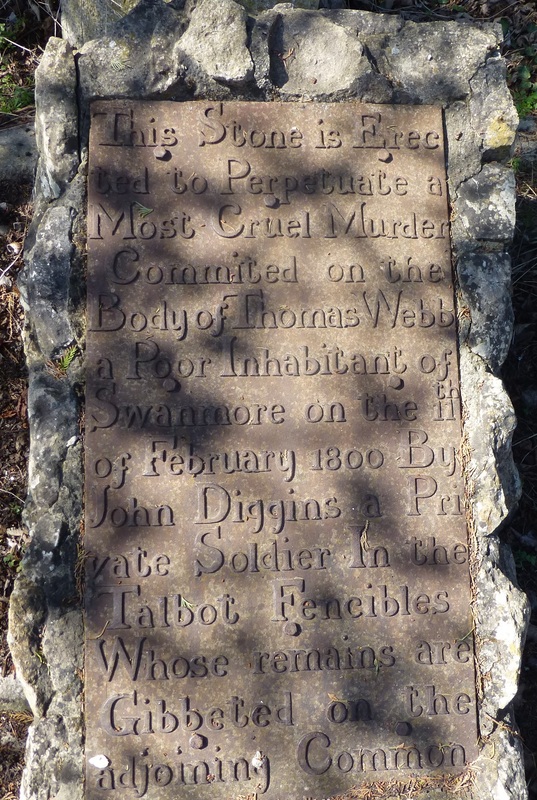 We have another gruesome murder for you, this one took place on 11th February 1800. According to Bells Weekly Messenger, 2nd March 1800, three soldiers of the Tarbert Fencibles (from the word defencible), John Diggins, Richard Pendergrass and Sergeant James Colloppy who were quartered at Botley in Hampshire, came across a poor old travelling man by the name of Thomas Webb from Swanmore, close to where they were quartered, at Curdridge . After robbing him of a few shillings they stabbed him. Cutting him in various parts of his body they then dragged him over an adjoining bank and threw him into a ditch and stamped on him. Somehow, despite his horrific injuries Webb managed to find the strength to crawl to the cottage of a Daniel Barfoot nearly a mile away, where a surgeon was immediately sent for, who successfully removed from his body a part of a bayonet, six and a half inches in length. The three were arrested and taken to the county gaol at Winchester. Thomas Webb lived long enough to relate the particulars of his ordeal but then tragically died. 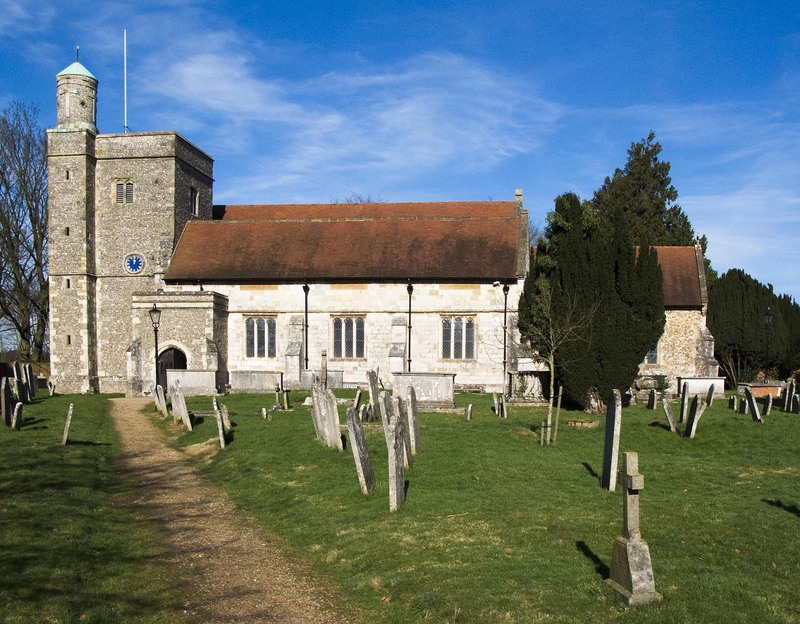 Thomas was buried at the parish church at Bishops Waltham close to his home. According to The Evening Mail, on the 12th March 1800, all three assailants appeared at the Lent Assizes in Winchester in a trial that lasted from eleven in the morning until midnight. Pendergrass and Colloppy were acquitted due to lack of evidence, but Diggins (also recorded as Diggens) was found guilty of the murder and sentenced to execution on Monday 17th March 1800. Pendergrass, although not found guilty was later given 600 of 1,000 lashes, a punishment inflicted upon him by Court Martial for Disobedience of Orders, for being absent without leave on the night of the murder. He received the first 600 after the trial, then the remaining 400 after which he was drummed out of the regiment with a rope about his neck. On receiving the first 400 apparently, he did not seem in the slightest bit affected. According to the report in the Hampshire Telegraph, ‘The Loyal Tarbert Fencibles are greatly incensed against the perpetrators of that most inhuman crime. No regiment can be more praiseworthy from their good conduct and behaviour in this garrison‘. Praise was given at the trial to Daniel Barfoot and his son who immediately loaded their guns and went in search of the murders. Diggens’ body was hung from a gibbet on the nearby Curdridge Common. Apparently, he did show remorse and begged Webb’s wife and family for forgiveness, but it was too late to save him. In accordance with his sentence, his body was returned to the place where the murder was committed and hung there in chains. He was 22 years of age when he died (Northampton Mercury 22nd March 1800). There is a memorial stone to Thomas Webb located at the side of a drinking fountain in Botley, not far from the railway station. The stone must have been erected shortly after his death as it was included in ‘A Companion in a Tour round Southampton … And a Tour of the Isle of Wight‘, by John Bullar which was published in 1801. There seems to be some confusion as to which regiment the soldiers were with, many of the newspapers referring to it as being the Tarbert Fencibles whilst as you can see the stone confirms it as being the Talbot Fencibles, as far as we can ascertain both regiments were in Botley at the same time. The information we received respecting John Diggens, being innocent of the murder for which he suffered at Winchester, proving false, we are happy to have the opportunity of correcting it, by the following more authentic communication. When Diggens was required by two officers of his regiment and the under sheriff to prepare for his awful fate, he was found in the act of piously beseeching forgiveness of his Creator for the crime he had committed. Being questioned respecting the fact, he acknowledged the following circumstances: that Pendergrass, who was acquitted, came and called him out of the barrack-room; he immediately took the first belt he saw with a bayonet, which proved by accident, not design, to belong to another. Overtaking the deceased, Pendergrass stopped him, and caught the dagger from Diggens’s side, and with it, gave Webb all the wounds he received. Pendergrass also robbed him; and the only part of the crime committed by Diggens was taking the murdered man by the feet, and thus assisting Pendergrass to throw him into the ditch. He acknowledged himself sensible of being, in the eyes of God and Man, a partaker of the murder. So was Diggins guilty of murder? Did the wrong man hang or was it a last ditch attempt to save himself from the inevitable? We will never know the truth. You might be interested to know that John Harley a lieutenant in the Tarbert Fencibles has much to say on this murder in his memoir which will be published late this year. Has the memoire been published yet?